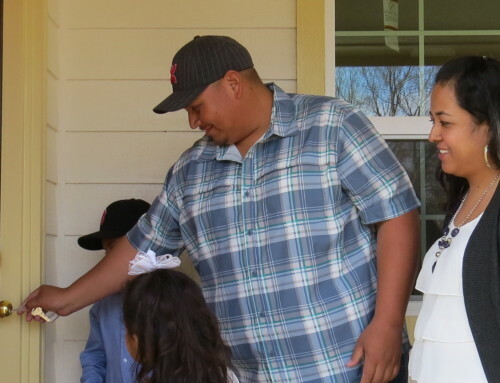 LaCourtney and her children are excited to start building their new home, and would love for you to come join us as we raise the walls at their house this Saturday morning at 1415 Douglas St. in Bryan. LaCourtney and her three kids, TeAshton, Courtlyn and Kaitlyn have been moving from place to place trying to find a safe, comfortable house. In the past they had plumbing problems, making it impossible to take a decent shower. There was heavy traffic on the streets and crime in their neighborhood. For the time being, they are living with LaCourtneys mother, sharing one room for the four of them. 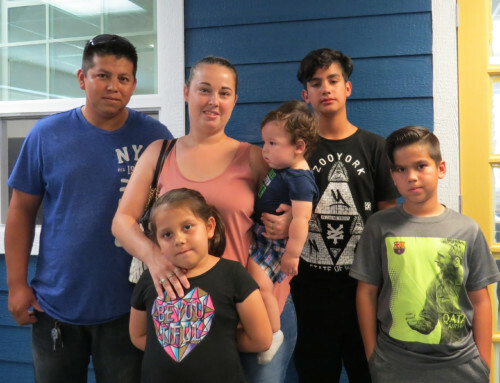 They cannot wait to move into their four bedroom home where they will have plenty of space to spread out and a decent place to call their own. 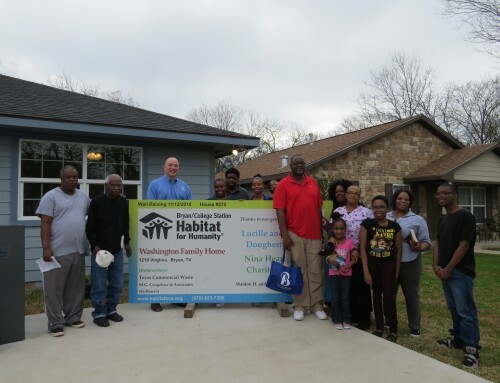 Wells Fargo Foundation[/list] These groups sponsored this house so that the Dickey family can have a safe and decent place they can call home! Join the Habitat staff, board and volunteers to celebrate this joyous day. For more information about future volunteer opportunities please contact our volunteer coordinator.